We spent the last couple of days in Cancun. When we didn’t have water we took off to Chichen Itza and Cancun earlier than we planned. Chichen Itza is the archeological site of the biggest known Mayan ruin. It is truly spectacular but also sickening; so much death and bloodshed, all to appease whatever god they were currently scared of. Apparently, creation costs the gods so much they demanded a similar cost from humans to keep it going. They would throw infants into the Cenotes (deep natural wells). They would offer human sacrifice to the sun god and would go to war to capture more prisoners they could offer up as sacrifices. That is not a faith in which I could revel or flourish. That day we swam in one of these wondrous cenotes. Michelle learned, much to her chagrin, it is not as easy to dunk me as she thought it would be. Given the fact we had not had water all day, the swim in the heat of the day was blessed. That night we spent at the Delores Alba hotel just outside of Chichen Itza. We were up at five the next morning to begin our trek into Cancun. We never found our way back onto the toll road so we endured a dozen small towns and their inescapable speed bumps but made it into Cancun by 8:30. We checked into an all inclusive resort for 1 night. We booked a day to go scuba diving and looking around Isle Mujeres. It was a fantastic day. We got home in time to make the resorts New Years Eve Dinner Party, but I was wiped out from too much sun and meds for allergies so we went to bed early. We had another early day happening the next day anyway. So New Years Day came and we had our breakfast and left for the Wet and Wild to swim with the Dolphins and play. What a great day. New Years in Mexico is like our Thanksgiving. It is reserved for family around a home cooked meal. This being the case there was no one at the park, and after a great time playing with the dolphins we spent the rest of the day riding slides and playing in the water… It was a near perfect day. A week ago today Michelle and I were married in what we jokingly refer to as an, “evangelical, hippie, Scottish, wedding held on the Winter Solstice in a Beer Hall in North West Portland”. 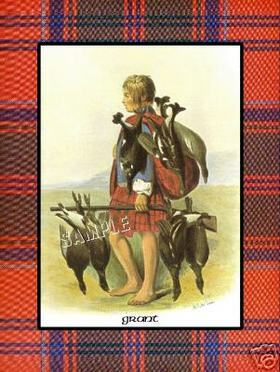 I wore the Grant Tartan Kilt and Thomas and Sam wore our hunting kilt: the Black Watch. Sam, Thomas, and I also rented tails to wear with our kilts. I won’t tell which of us went commando and who didn’t. Besides it is not a polite question. Maggie and Alex both wore stunning blue dresses. Alex already drives the boys crazy with how beautiful she is and Maggie is not far away from doing the same. Then came Michelle as Dan Zollner played Amazing Grace so beautifully on his acoustic guitar. She was the picture she wanted to be. Reality was better than the fantasy that preceded it. She wore a simple corseted ivory dress with a red ribbon. Her hair was simple and straight with a beautiful small tiara and veil. “Wow!” was all I could utter to myself. Bob, who climbed out of a sick bed to officiate, welcomed the small group of family who gathered to witness the event and asked who was giving her to me. Her Dad had asked that this not be removed from the ceremony (I’ll come back to that in a minute). After her Dad gave her hand to mine we turned, hand in hand to listen to Dad sing the Lord’s Prayer. It started rough but soon he found his voice, by the end those of us present heard the echoes of his aging glorious voice. After prayer came my favourite part of the ceremony, while Dan Scott sang, Unless the Lord Builds the House, by John Michael Talbot all of us together lit the unity candle and stood together laughing, joking and just sharing a family moment. It was a brief moment, devoid of any childish rivalry or jealousy. It was a small snapshot of what we pray the family will grow to become. It was miraculous gift that I didn’t expect. After the traditional sermon by Bob we went to our vows. Each of us had written vows to the children, and then to each other. I left my vows at home and we were unable to print them so I emailed them to Bob and he brought them up on his iPhone. I read all my vows via iPhone. It has got to be a first. The only problem with this was that the screen went blank in the middle and I couldn’t bring it back. It demanded Bob’s touch. He brought it back and I was able to finish the vows. They will be published after this, and will hang in our the wall of our bedroom and our children’s bedrooms. Our friends showed up and we partied with them for a couple of hours… It was wonderful to see so many of our friends show up to celebrate what God is doing in our lives. I wonder these days why anyone would settle for less than what we’ve found. It is beyond miraculous…it can only be described as supernatural. Here we sit in a very quiet corner of Mexico, removed from the hustle and bustle of the vacation hubs. No one is around to disturb the beach that lays just outside our door beyond our pool. We read a lot together. I am streaking through The Good Marriage after reading David Baldacci’s, The Collectors. Shell is reading through Brennan Manning’s The Ragamuffin Gospel and has now picked up Baldacci’s book as a second to the thoughtful Manning. We have visited a Mayan ruin site predates Jesus by 750 years, spent time exploring Merida, a neglected and wonderful city here. Additionally, we spent today over on the Western Coast of the Yucatan in a town called Celestun. While there we took a launch and visited canals cut through the jungles of this mysterious place as well as several thousand flamingos, and white pelicans. The flamingos were cracking Michelle up for though they look graceful while standing still, they sound like turkeys and take off as gracefully as you can imagine a turkey might – if a turkey could fly… For a minute I thought I was watching a cartoon watching them try to get air born. We have had our rings made by an absolutely fantastic jeweler named Gary Swank here in town. He spent a lot of time designing these with us and created them for a price that, quite honestly blew us away. If you are looking for something really special, check him out. You won't be disappointed. Here are what ours look like -- Kinda -- they are better in real life.